St. Johns County Parks & Rec has partnered with UF/IFAS Extension St. Johns County for Native Landscaping Lecture Series: Lawn Care. 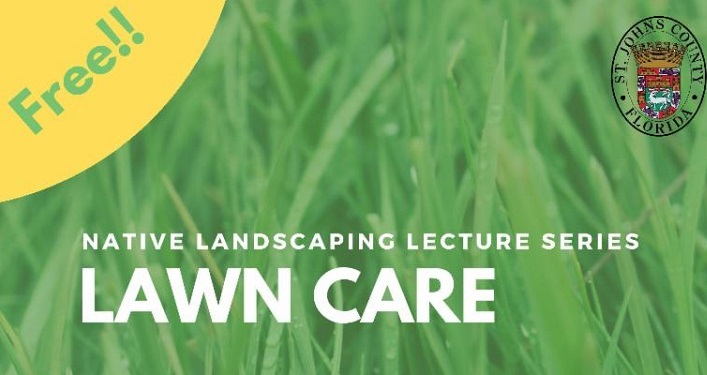 This lecture on Florida-Friendly Landscaping with a focus on how to irrigate, fertilize, and maintain your lawn utilizing Florida-Friendly principles. Learn how you can have a beautiful landscape that could save you time, energy and money while protecting our future. This program is FREE. Click on the event website to register. For more info, contact Kelly Ussia at kussia@sjcfl.us or 904-209-0335.